Hi friends! Throughout the month of August, it was tough to get my hands on a pair of Allbirds Sugar Zeffers. I finally scored a Limoncello (yellow) pair in woman's size 8, and as soon as I unboxed them, I had a feeling I would keep them. There are reasons why I might send them back for an exchange, but Allbirds Sugar Zeffers are a pair of flip flops I'd like to wear until they tear. Let's discuss the reasons why I like the Sugar Zeffers, and why I'll keep them. The minimalistic and flat packaging was a welcomed sight. It's a fully recyclable box; however, it came crushed and the opening slightly opened. With the box smooshed during its commute to me, the Sugar Zeffers were slightly damaged. The top of the left Sugar Zeffer was deformed straight out of the box. The side of the left Zeffer was also all wrinkled up. 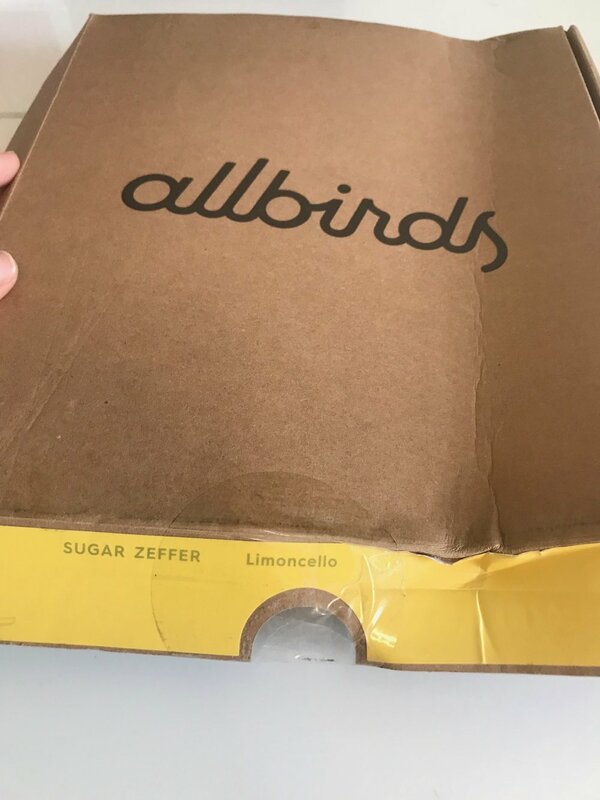 If the box wasn't crushed and my Allbirds Sugar Zeffers didn't come damaged, I would have given the packaging a perfect score. I love how it's simple and easy to recycle. It's also easy to use to send back for return or exchange. It just doesn't protect the Sugar Zeffers well enough, and it probably went through a lot rough handling during the mailing process. Which leads me to wonder, how durable and well built are the Sugar Zeffers? My new pair of Allbirds Sugar Zeffers are a little rough around the edges, literally. Where the outer sole meets the bottom sole, there's tearing, and this is on day one. From just a few minutes of indoor use, there was chafing and tearing of the bottom soles. As mentioned earlier, where the box was crushed, the Sugar Zeffers were also smooshed, and there's residual shape deformity and wrinkling. Shouldn't foam just bounce right back to its fully expanded shape? The Sugar Zeffers stained easily, but I'm sure I can just wipe them clean. Other than the tearing and the wrinkling of the foam, the Sugar Zeffers seem pretty durable for daily use. I kept bending them and they didn't snap in two. I scratched the surface with my nails, and they were fine. PS Allbirds Sugar Zeffers are made in Korea. 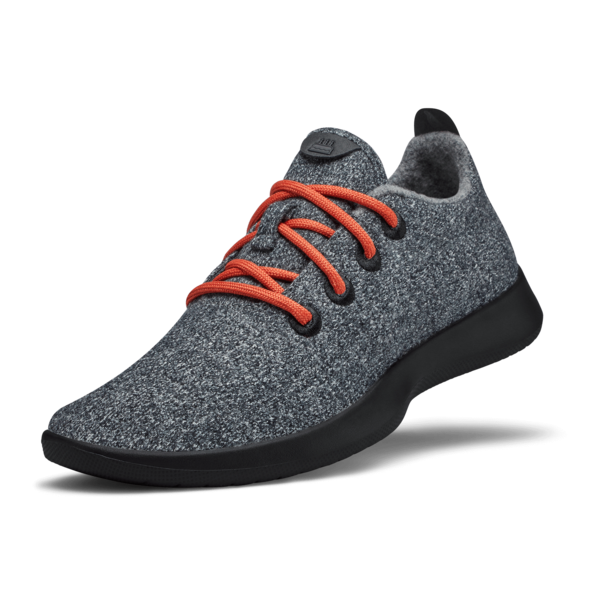 You can purchase a pair of Sugar Zeffers for $35 (USD), which is a third the price of the other Allbirds lines. One of the most comparable flip flops would be the EDDIE BAUER BREAK POINT FLIP FLOP, which is sold for $30 and are very comfortable, but not marketed to be as sustainable and environmentally-friendly as the Allbirds Sugar Zeffers. Allbirds has an incredible marketing team. Their shoes are always sold out! As for the Sugar Zeffers, you can also change out the straps for an additional price, but that makes these flip flops just a little cooler than the comparable ones out there. If you want much cheaper flip flops, you can find very flat soled ones at stores like the Gap or UNIQLO. I don't think the Sugar Zeffers are expensive for flip flops with comfy soles, but do secretly wish Allbirds would lower the price of the straps, or up the price of the Zeffers to include a second set of straps. I feel the Sugar Zeffers are true to size. I usually wear an 8 to 8.5 and have wide feet. I bought size 8 and there's extra space for my feet, but I feel the fit is just right like that. I never liked wearing flip flops. Toe thongs are intrusive and uncomfortable. Allbirds Sugar Zeffers are comfortable to wear. The outer soles feel like two happy hard pillows kissing my feet with each step. The toe thongs don't bite into the space between my toes. Sugar Zeffers may be the shoes for people at risk for developing bunions. Flip flops force the big toe to separate from the second toe. If you have bunions and have tried out the Sugar Zeffers, I would love to hear about your experiences! Sometimes, the straps flip around and I have to fix it, but that's just a minor annoyance. I chose Limoncello because it was the only color available in my size. Like I mentioned earlier, all month long, these Sugar Zeffers have been sold out. Allbirds have legions of fans. Even Leonardo DiCaprio backs it up. I find Allbirds Sugar Zeffers to be very appealing, and my wide duck feet look OKAY in them. Nay! I might exchange them for another pair because they came pretty busted out of the box. There was tearing, wrinkling, and a cut on the bottom. I might have to wait a long time before my exchange pair arrives, so I might just keep my Limoncello ones. These are the only shoes I have in bright yellow, and they've converted me. I need to get me more yellow shoes! My friends, do you have a pair of Sugar Zeffers? What do you think about them? I think they're a solid pair of flip flops. I love how they're fashionable and sustainable. I feel my pair may be slightly defective straight out of the box, warranting an exchange. I love the technology behind the Sugar Zeffers, and the price is reasonable. Just do go driving around in flip flops, or walking around on lopsided streets! Flip flops can get caught on the gas pedal or brake and lead to driving accidents. And today, I almost fell flat on my face when my Allbirds Sugar Zeffers got caught in street. Just a little PSA, lol. Anyhoo, Phil and Mama award the Allbirds Sugar Zeffers with 3.9 out of 5 Pandas and recommend you try a pair. You have 30 days to return or exchange, so you really don't lose out. Happy shoe hunting, my friends!